Ah, the perks of being filthy rich. Two new lengthy videos, one from Top Gear (above) and the other from Mr JWW (below), give us a better understanding of what goes on in the purpose-built room where future owners can customize their cars. According to Marek Reichman, design director at Aston Martin, roughly 30 people have been in this room to configure their rides and none decided to go with the standard look, because why would they? Reichman went on to mention there won’t be two Valkyries alike as each and every owner wants to fully personalize the 1,100-horsepower beast. While the Valkyrie configured by Top Gear was done just for fun, the one specced by Mr JWW will actually come to life. It’s not his car, but that stealthy Valkyrie with lots of exposed carbon fiber inside and out is going to be built and we’ll see more of it later this year before the owner will take delivery of his prized possession. Naturally, a video with the real car will follow and Mr JWW will be given the opportunity to get behind the wheel and drive it. 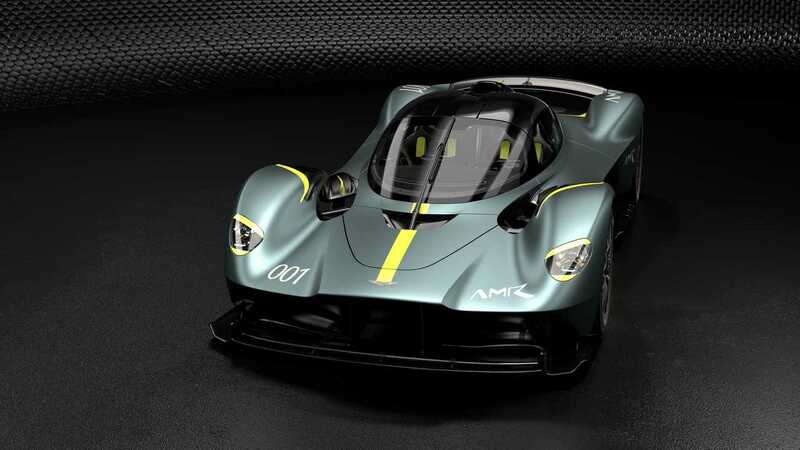 On a personal note, I’m hoping the Mercedes-AMG One will be getting the same amount of exposure as the Valkyrie since I’m finding it at least just as exciting as Aston Martin’s new Cosworth-engined beast. While 99 percent of us will never be able to afford a multi-million-dollar hypercar that essentially stems from Formula 1, it’s still exciting to see how high-end automakers are pushing the boundaries of a road-legal car.